Strands are the final products of the stranding process, where conductors or cables having a certain cross section are twisted together to form a conductor having a larger cross section. The goal is to improve mechanical properties (i.e. flexibility), vibration resistance, handling and prepare for the subsequent stranding or insulation and sheathing process. Lay-length and twisting direction characterize the strand definition. The two possible twist directions are left-hand lay and right-hand lay, usually indicated with S and Z respectively. Bunched Strand: Bunched strands are bundles manufactured in one step with single wires or bunched multi-wires. The structure is irregular, the lay direction could be S or Z. 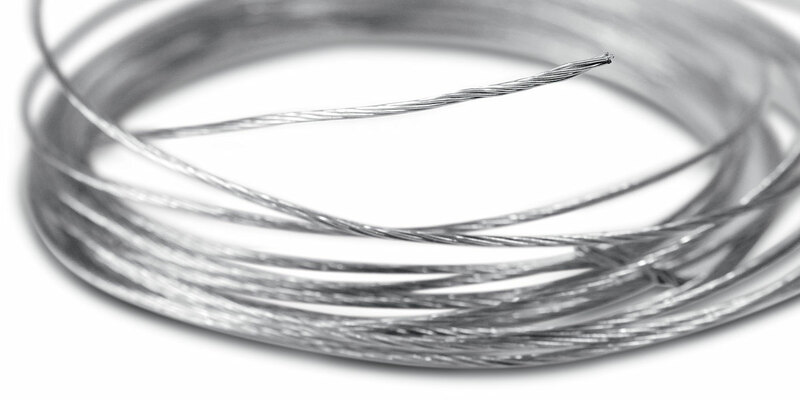 In this type of strand, the position of the individual wire is not clearly defined. The external surface is irregular and the diameter and roundness are not accurate. This type of strand is not suitable for thin-wall insulation process. This bunch is suitable for flexible cords, building cables, control cables etc. Concentric Strand: This type of strand has a regular construction having a symmetric number of wires (1+6+12+18+24+30). The conductor has 7, 19, 37, 61 or 91 wires. Concentric strands can be divided in True concentric types and Unilay types. True concentric types have different lay directions of the successive layers from interior to outer layers; Unilay types have uniform lay directions. Common features of all concentric conductors are the precision of outer layer surface and the precision of the conductor diameter. This type of strand is particularly suitable for the thin–wall insulation process that involves high-quality insulation materials. Concentric and semi–concentric stranded conductors can be compacted with roller or dies to obtain a very smooth external surface with a minimum conductor outer diameter, thus reducing also the insulation material used in an insulating process. With the term strand sometimes we mean an assembly of 7, 19 or 37 bunches or concentric strands in a regular construction. In this case, we are referring to Ropes Lay Bunch Stranded or Rope Lay Concentric Stranded, respectively. At Sampsistemi, thanks to our history of technology and expertise and thanks to recent developments, we are able to provide you with a customized solution satisfying your needs. Sampsistemi Double-Twist Bunching Machine Platform is designed for reels with a flange diameter in the range of 100-1250 mm, for copper and aluminium conductor and cable laying-up. The platform is completed by a wide range of dynamic and static payoffs and various accessories (pre-twister, taping unit etc. ).